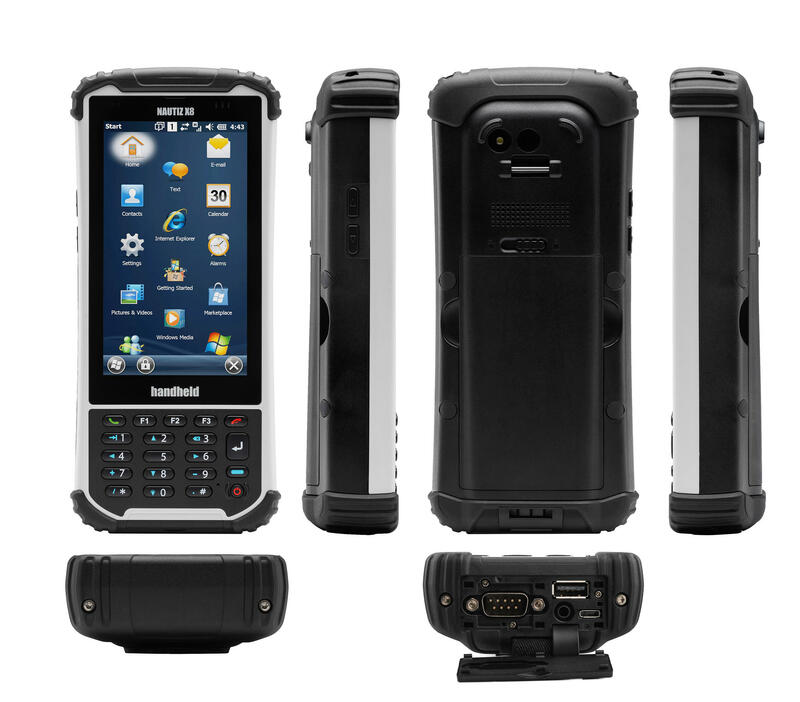 The Nautiz X8 rugged handheld delivers the largest, most brilliant capacitive touchscreen in its class. This rugged PDA offers offers an unprecedented combination of processing power, connectivity and field with a tough IP67 ruggedness rating. The best ultra-rugged data collector available! The Nautiz X8 won’t just keep up with you — it’ll lead the way. This dynamic handheld features a high-speed Texas Instruments 4470 dual-core 1.5 GHz processor, 1 GB of RAM, 4 GB of iNAND Flash and a 5200 mAh Li-ion battery that lasts up to 12 hours on a single charge. 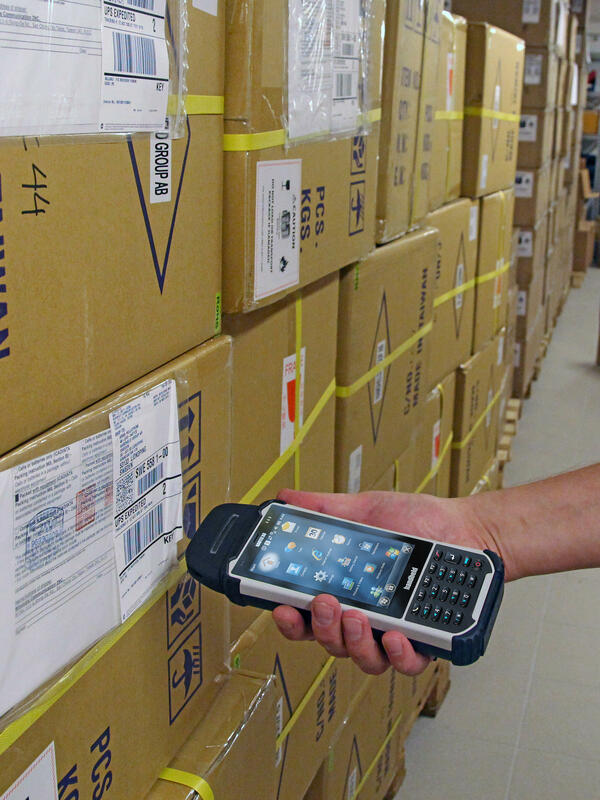 A choice of operating systems — Android 4.2.2 or Windows Embedded Handheld 6.5.3 — allows you to choose the most suitable platform for your needs. Each detail of the Nautiz X8 is meticulously designed for field use, without sacrificing style or ergonomics. Its 4.7-inch high-brightness screen is the largest you’ll find on any comparable computer, and you can operate the state-of-the-art capacitive touchscreen using light touch and multi-finger gestures — the same way you use your personal smart devices. The Nautiz X8’s ruggedness is unparalleled. It’s IP67-rated and meets stringent MIL-STD-810G U.S. military standards, which means it’s impervious to both dust and water and can survive repeated drops, strong vibrations and operating temperatures ranging from -30 C to 60 C (-22 F to 140 F) — all in a sleek, attractive 490 gram (17.3 ounces) package. The Nautiz X8 offers an exceptional combination of connectivity options and standard features, including a dedicated u-blox GPS receiver, BT 2.0 and 802.11b/g/n WLAN functionality. 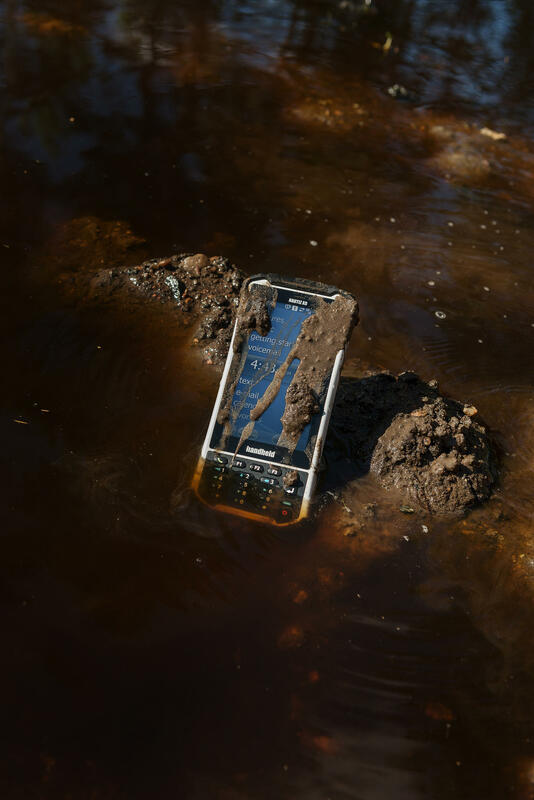 A built-in 8-megapixel camera with autofocus and an LED flash lets you capture visual data quickly and easily, and connectivity through GSM/UMTS or CDMA phone data transmission keeps you connected wherever you go. Measure acceleration and orientation with the built-in G-sensor/accelerometer and gyroscope, or navigate with the integrated compass and altimeter. 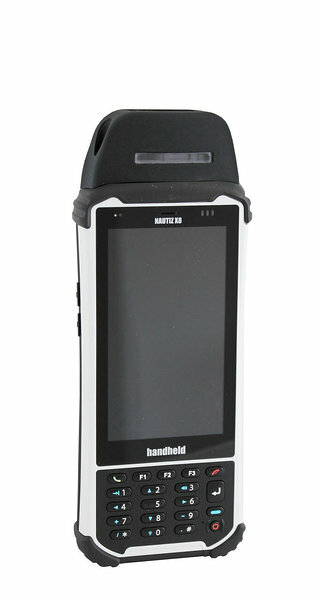 This handheld also features an open architecture and an extension cap system that lets you connect additional hardware such as sensors, radios and other add-ons. The feature-rich Nautiz X8 comes ready for your team with application possibilities in forestry, public safety, field service and GIS/surveying, and it’s adaptable to your work environment and performance requirements. Carry it, wear it in a holster, toss it in your bag or mount it on your vehicle — but whatever you do, keep the rugged, reliable Nautiz X8 close at hand. You’ll wonder what you ever did without it.